Area 23: Download a printable PDF version of this map. Area 123: Download a printable PDF version of this map. Chinook Salmon Coastwide Reminder Keeping your chinook salmon? You must record all retained catch on your Tidal Waters Sport Fishing Licence. Crab 23,123 Reminder Combined daily limit for Dungeness crab, red rock crab, box crab, Puget Sound king crab and all other king crab is 6. 1 nm seaward of the surfline The Boundary Line is approximately 1nm seaward of the surfline and is defined as follows: A line that begins at Pacheena Point lighthouse at 48 degrees 43.327' N 125 degrees 05.855' W then to 48 degrees 42.456' N 125 degrees 06.583' W seaward of Pachena Point, then to 48 degrees 46.420' N 125 degrees 13.997' W seaward of Cape Beale, then to 48 degrees 54.572' N 125 degrees 33.622' W seaward of Amphitrite Point, then to 49 degrees 05.100' N 125 degrees 54.646' W seaward of Cox Point, then to 49 degrees 10.280' N 126 degrees 04.790' W seaward of Blunden Island, then to 49 degrees 16.472' N 126 degrees 15.140' W seaward of Rafael Point, then to 49 degrees 20.008' N 126 degrees 17.188' W seaward of Sydney Inlet, then to 49 degrees 23.807' N 126 degrees 24.483' W seaward of Hesquiat Point, then to 49 degrees 21.620' N 126 degrees 28.478' W seaward of Matlahaw Point, then to 49 degrees 22.113' N 126 degrees 33.508' W seaward of Estevan Point, then to 49 degrees 23.869' N 126 degrees 35.333' W seaward of Homais Cove, then to 49 degrees 27.766' N 126 degrees 35.971' W seaward of Split Cape, then to 49 degrees 31.494' N 126 degrees 35.669' W seaward of Escalante Point, then to 49 degrees 34.042' N 126 degrees 41.611' W seaward of Maquinna Point, then to 49 degrees 36.254' N 126 degrees 50.538' W seaward of Bajo Point, then to 49 degrees 39.892' N 126 degrees 55.125' W seaward of Skuna Bay, then to 49 degrees 44.400' N 127 degrees 00.289' W seaward of Ferrer Point, then to 49 degrees 50.767' N 127 degrees 10.151' W seaward of Tatchu Point, then to 49 degrees 59.142' N 127 degrees 28.125' W seaward of Lookout Island, then to 50 degrees 06.948' N 127 degrees 41.617' W seaward of Jackobson Point, then to 50 degrees 03.599' N 127 degrees 47.722' W seaward of Clerke Point, then to 50 degrees 05.868' N 127 degrees 57.906' W seaward of Solander Island, then to 50 degrees 19.284' N 128 degrees 00.130' W seaward of Lawn Point, then to 50 degrees 31.501' N 128 degrees 14.238' W seaward of Topknot Point, then to 50 degrees 35.683' N 128 degrees 19.249' W seaward of Cape Palmerston, then to 50 degrees 39.280' N 128 degrees 23.459' W seaward of Winifred Island, then to 50 degrees 41.116' N 128 degrees 24.166' W seaward of Cape Russell, then to 50 degrees 44.137' N 128 degrees 26.559' W seaward of Strange Rock, then to 50 degrees 47.926' N 128 degrees 27.363' W seaward of Cape Scott, then to Frederiksen Point. Tidal portion of the Somass River That portion of Subarea 23-1 from the tidal boundary signs at Paper Mill Dam on the Somass River downstream to a line commencing at a boundary sign in upper Alberni Harbour situated at 49°14.19 north latitude and 124°50.23 west longitude thence through the southern most point of Hoik Island then to the flashing green light at the mouth of the Somass River, then due east to a boundary sign on the opposite shore. 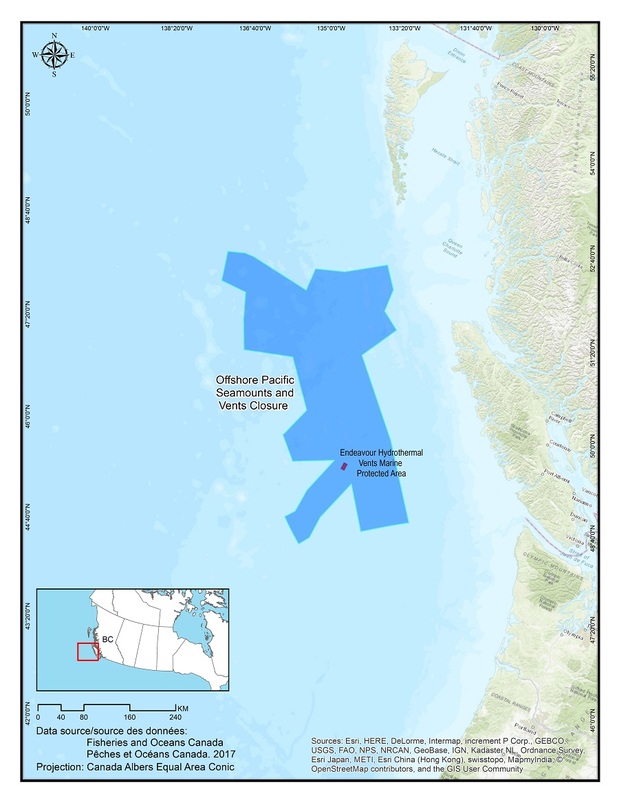 Coastwide Reminder Keeping your chinook salmon? You must record all retained catch on your Tidal Waters Sport Fishing Licence. Herring 23,123 Reminder Harvesting of herring roe from marine plants or plants placed in the water for the purpose of harvesting herring roe is prohibited. Codfish 23,123 Reminder Species includes: Pacific cod, Pacific tomcod, pollock and hake but does not include lingcod. Bivalve Species Coastwide Reminder Clams: No person shall retain a Manila Clam or Littleneck Clam smaller than 35 mm, nor a Butter Clam smaller than 55 mm. Coastwide Reminder Because of the risk of contamination, you are not allowed to harvest bivalve shellfish (for any purpose) within: (1) 300 metres around industrial, municipal and sewage treatment plant outfall discharges (2) 125 metres around a marina, ferry wharf, floating living accommodation, or any finfish net pen (exceptions described as follows) (3) 25 meters around any floating living accommodation facility located within a shellfish aquaculture tenure where a zero-discharge and appropriate waste management plan is a condition of the Aquaculture Licence and is approved by the Regional Interdepartmental Committee (4) 0 meters of any finfish net pen within an aquaculture tenure where an Integrated Multi-Trophic Aquaculture Management Plan approved by the Regional Interdepartmental Committee is in operation. Butter Clam Pacific Rim National Park Daily Limit Pieces 0 Pacific Rim National Park (Area 23) aggregate daily limit: 8 razors, 3 geoducks, 12 horse clams, 24 littleneck or Manila clams, and 0 butter clams, and maximum aggregate of all clam species is 24. Horse Clam Pacific Rim National Park Daily Limit Pieces 12 Pacific Rim National Park (Area 23) aggregate daily limit: 8 razors, 3 geoducks, 12 horse clams, 24 littleneck or Manila clams, and 0 butter clams, and maximum aggregate of all clam species is 24. Littleneck Clam Pacific Rim National Park Daily Limit Pieces 24 Pacific Rim National Park (Area 23) aggregate daily limit: 8 razors, 3 geoducks, 12 horse clams, 24 littleneck or Manila clams, and 0 butter clams, and maximum aggregate of all clam species is 24. Manila Clam Pacific Rim National Park Daily Limit Pieces 24 Pacific Rim National Park (Area 23) aggregate daily limit: 8 razors, 3 geoducks, 12 horse clams, 24 littleneck or Manila clams, and 0 butter clams, and maximum aggregate of all clam species is 24. Razor Clam Pacific Rim National Park Daily Limit Pieces 8 Pacific Rim National Park (Area 23) aggregate daily limit: 8 razors, 3 geoducks, 12 horse clams, 24 littleneck or Manila clams, and 0 butter clams, and maximum aggregate of all clam species is 24. 23,123 Gear Restriction It is illegal to use any mechanical apparatus or dredge for harvesting clams. Reminder Clam harvesters are encouraged to fill in holes to reduce predation on exposed juvenile clams. Clams Pacific Rim National Park Daily Limit Pieces 24 Pacific Rim National Park (Area 23) aggregate daily limit: 8 razors, 3 geoducks, 12 horse clams, 24 littleneck or Manila clams, and 0 butter clams, and maximum aggregate of all clam species is 24. Geoduck Pacific Rim National Park Daily Limit Pieces 3 Pacific Rim National Park (Area 23) aggregate daily limit: 8 razors, 3 geoducks, 12 horse clams, 24 littleneck or Manila clams, and 0 butter clams, and maximum aggregate of all clam species is 24. Blue Mussel Pacific Rim National Park Daily Limit Pieces 12 All species aggregate daily limit combined. Pacific Rim National Park (Area 23) daily limit:12. 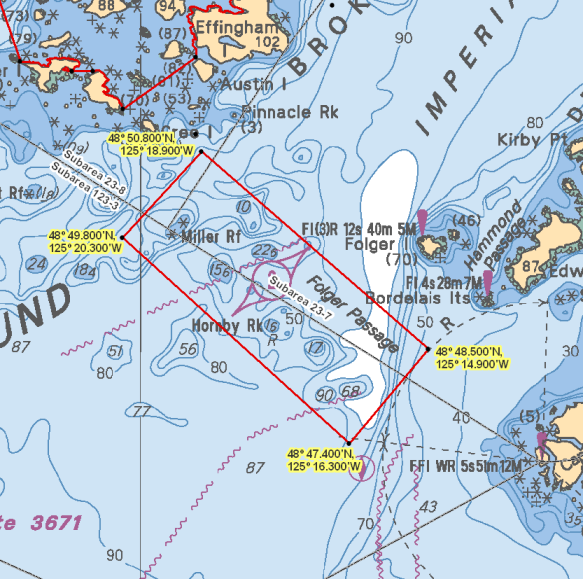 Areas 28 and 29 are closed to all bivalve harvest due to contamination. Combined aggregate daily limit of all mussel species is 75. California Mussel Pacific Rim National Park Daily Limit Pieces 12 All species aggregate daily limit combined. Pacific Rim National Park (Area 23) daily limit:12. 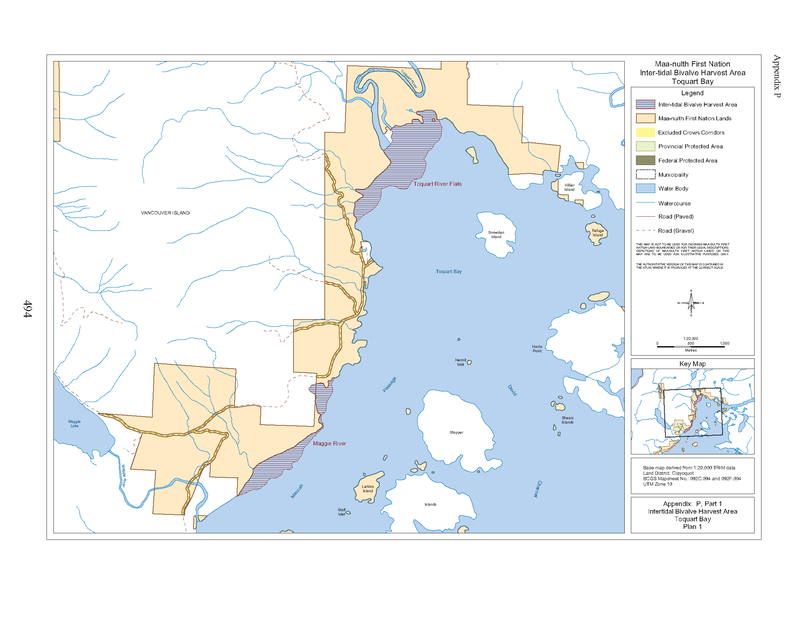 Areas 28 and 29 are closed to all bivalve harvest due to contamination. Combined aggregate daily limit of all mussel species is 75. Mussels 23,123 Reminder Combined daily limit for all mussel species is 75. 23,123 Packaging and Transporting Harvesters are encouraged to shuck oysters on the beach and leave the shells there, or return oyster shells to the beach from where you collected them whenever possible. In order to avoid the transfer of European green crab, please dispose of any oyster shell harvested from the west coast of Vancouver Island back to the beach from where it came or with your household garbage. Consult your local DFO Office. You will need permission to harvest oysters from marked oyster farms. Moon Snail 23,123 Reminder Moon snails may be subject to PSP, check for closures. Consult your local DFO office for details. Coeur d'Alene Creek Coeur_d'Alene_Creek.pdf That portion of Effingham Inlet in Subarea 23-6 at the mouth of Coeur d'Alene Creek, east of a line beginning at 49°02.930' N and 125°08.302' W, then following the low water mark to 49°02.659' N and 125°08.618' W and west of a line from drawn from 49°02.758' N and 125°08.272' W due south to the opposite shoreline. Maggie River Maggie_River.png That portion of Subarea 23-10 near the mouth of the Maggie River bounded on the east by a line running due south from 49°00.301' N and 125°21.956' W to the low water mark then following the low water mark to the southern boundary and bounded on the south by a line running due east from 48°59.305' N, 125°23.155' W to the low water mark. Meade Islets Meade_Islets.pdf That portion of Subarea 23-5 surrounding the Meade Islets inside a line that starts at 48¿55.650'N and 125¿07.290' W then south following the low water mark to 48¿55.423' N and 125¿07.507' W then north following the low water mark to the point of commencement, including the intertidal zone between the east and west islets. Pacific Rim National Park Pacific Rim National Park (portions of Areas 20 to 24, 121, 123 and 124). 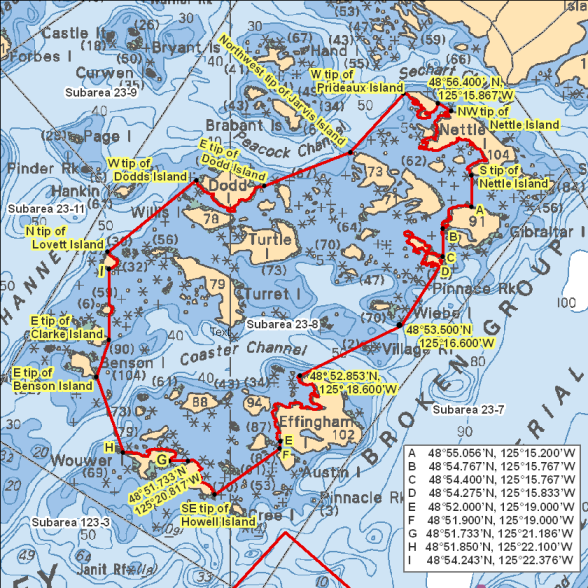 Folger Passage Folger_Passage.png Those waters of Subareas 23-7, 23-8 and 123-3 that lie inside a line that: begins at 48°50.800'N 125°18.900'W in water then to 48°48.500'N 125°14.900'W in water then to 48°47.400'N 125°16.300'W in water then to 48°49.800'N 125°20.300'W in water then to the beginning point.